Now that Newt Gingrich is taking his turn as the GOP frontrunner du jour, late night TV is having some fun at his expense. 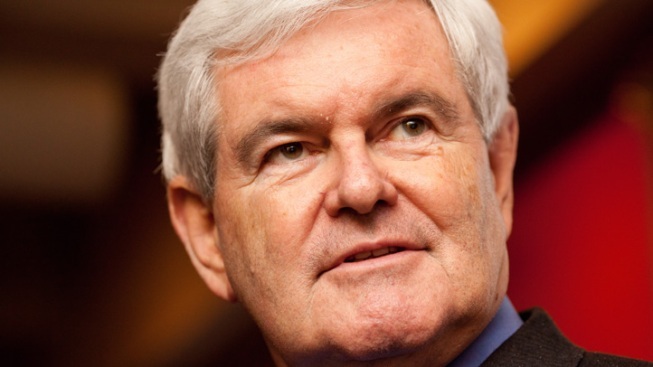 Newt Gingrich's rise in the polls has made him late-night fodder. "It's funny," remarked David Letterman Monday night. "Romney is the Mormon, and Newt Gingrich is the one with three wives." Gingrich began dating his second wife while still married to his first wife — and began dating his third and current wife while still married to his second. Letterman also devoted the night's Top Ten to Gingrich with a list of the "Top Ten Ways The World Would Be Different If Everyone Were Named Newt." The number one way: "You know who ain't gonna be president? Newt Perry."